Home > Departments > Faculty > Susan Hanson Ph.D. 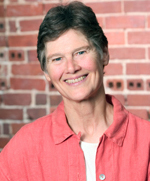 Professor Susan Hanson received her Ph.D. from Northwestern University (1973). Before going to graduate school, she was a Peace Corps Volunteer in Kenya (1964-66). She is an urban geographer with interests in gender and economy, transportation, local labor markets, and sustainability. Her research has examined the relationship between the urban built environment and people’s everyday mobility within cities; within this context, questions of access to opportunity, and how gender affects access, have been paramount. Her most recent project focuses on understanding how gender, geographic opportunity structures, and geographic rootedness shape entrepreneurship in cities. Professor Hanson has edited four geography journals - Urban Geography, Economic Geography, the Annals of the Association of American Geographers, and The Professional Geographer - and has been the geography editor for the International Encyclopedia of the Social and Behavioral Sciences, first and second editions. She currently serves on the editorial boards of several journals including Proceedings of the National Academy of Science. Professor Hanson is a past president of the Association of American Geographers and has served as Director of Clark's School of Geography (1988-1995; 2002-2004). Her current activities include serving as Division Chair of the Transportation Research Board (one of the six divisions of the National Research Council (NRC) of the National Academies), as a member of the Council of the National Academy of Sciences, and as a member of the Advisory Boards of the NRC’s Division of Behavioral and Social Sciences and Education and of the NRC's Gulf Research Program. Genevieve Guiliano and Susan Hanson (eds). 2017. The Geography of Urban Transportation, 4th edition. Guilford Press, New York. Yuko Aoyama, James Murphy, and Susan Hanson. 2010. Key Concepts in Economic Geography. Sage. Susan Hanson and Mei-Po Kwan (eds). 2008. Transportation. London: Ashgate. Susan Hanson and Genevieve Giuliano (eds). 2004. The Geography of Urban Transportation, 3rd Edition. New York: Guilford Press. Susan Hanson (ed.) 1995. The Geography of Urban Transportation, Second Edition. New York: Guilford Press. Susan Hanson and Geraldine Pratt. 1995. Gender, Work, and Space. N.Y.: Routledge. Kevin Keenan and Susan Hanson. 2013. Gender, Place, and Social Contacts: Understanding Awareness of Vulnerability to Terrorism. Urban Geography 34 (5): 634-56. Susan Hanson and Elaine Murakami. 2010. Women in Transportation: Improving the Outlook. Public RoadsMarch/April: 10-15. Susan Hanson. 2010. Gender and mobility: New approaches for informing sustainability. Gender, Place, and Culture 17 (1): 5-23. Susan Hanson. 2009. Changing places through women’s entrepreneurship. Economic Geography 85 (3): 245-267. Susan Hanson and Megan Blake. 2009. Gender and entrepreneurial networks. Regional Studies 43 (1): 135-149. Menzie McEachern and Susan Hanson. 2008. Socio-geographic perception in the diffusion of innovation: Solar energy technology in Sri Lanka. Energy Policy 36(7): 2578-2590. Deborah Martin, Susan Hanson, and Danielle Fontaine. 2007. What counts as activism? The role of individuals in creating change. Women’s Studies Quarterly 34 (3 & 4): 78-94. Susan Hanson. 2006. Service as a subversive activity: On the centrality of service to an academic career.Gender, Place, and Culture 14 (1): 29-37. Susan Hanson. 2006. Imagine. Journal of Transport Geography 14 (3): 232-33. Susan Hanson. 2006. Active Living Research in Light of the TRB/IOM Report, Journal of Physical Activity and Health 3 (supplement 1): 258-266. Winifred Curran and Susan Hanson. 2006. Getting globalized: City policy and industrial dispersal in Williamsburg, Brooklyn. Urban Geography 26 (6): 461-482. Susan Hanson. 2005. Perspectives ont he geographic stability and mobility of people in cities. Proceedings of the National Academy of Sciences 102 (43): 15301-15306. Megan Blake and Susan Hanson. 2005. Rethinking innovation: Context and gender. Environment and Planning A 37: 681-701. Susan Hanson. 2004. Who are ‘we’? An important question for geography’s future. Annals of the Association of American Geographers 94 (4): 715-722. Susan Hanson. 2003. Geographical and feminist perspectives on entrepreneurship. Geographische Zeitschrift 91: 1-23. Susan Hanson. 2003. The weight of tradition, the springboard of tradition: Let’s move beyond the 1990s. Urban Geography 24 (6): 465-478. R. Schlich, S. Schonfelder, S. Hanson, & K. Axhausen, 2004. Structures of leisure travel: Temporal and spatial variability Transport Reviews 24 (2): 219-238. Laila Smith and Susan Hanson. 2003. Access to water for the urban poor in Cape Town: Where equity meets cost recovery. Urban Studies 40 (8): 1517-1548. Sarah Niles and Susan Hanson. 2003. The geographies of on-line job search: Preliminary findings from Worcester, MA. Environment and Planning A 35: 1223-1243. Susan Hanson and Susanne Moser. 2003. Reflections on a discipline-wide project: Developing active learning modules on the human dimensions of global change. Journal of Geography in Higher Education 27(1): 17-38. Richa Nagar, Victoria Lawson, Linda McDowell, and Susan Hanson, 2002. Locating Globalization: Feminist (re)readings of the subjects and spaces of globalization. Economic Geography. 78 (3): 257-284. Susan Hanson. 2002. Connections. Gender, Place, and Culture. 9 (3): 301-303. Marianna Pavlovskaya and Susan Hanson, 2001. Privatization of the urban fabric: gender and local geographies of transition in downtown Moscow, Urban Geography, 22(1): 4-29. Susan Hanson. 2000. Networking. The Professional Geographer 52(4): 751-758. Susan Hanson and Robert Lake. 2000. Needed: Geographic research on urban sustainability. Editorial, published simultaneously in Economic Geography 76 (1): 1-3 and Urban Geography 21 (1): 1-4. Susan Hanson, 1999. Isms and schisms: Healing the rift between the nature-society and the space-society traditions in human geography. Annals of the Association of American Geographers, 89(1): 133-143. Susan Hanson, 1999. The social construction of models: Recent developments in transportation and land use models. Documents d'Analisi Geografica, 35: 187-197. Susan Hanson, 1999. Is feminist geography relevant? Scottish Geographical Journal. 115(2): 133-141. Susan Hanson, 1998. Off the road? : Reflections on transportation geography in the information age. Journal of Transport Geography, 6(4): 241-249. Doreen Mattingly, Susan Hanson, and Geraldine Pratt, 1998. At home with the kids: Women’s lives, local geographies, and the effects of maternal breaks on women’s employment. Michigan Feminist Studies, 12: 1-25. Susan Hanson, Tara Kominiak, and Scott Carlin, 1997. Assessing the impact of location on women’s labor market outcomes: A methodological exploration. Geographical Analysis. 29(4):281-297. Susan Hanson and Geraldine Pratt, 1994. Commentary on "Suburban Pink Collar Ghettos: The Spatial Entrapment of Women?" Annals of the Association of American Geographers. 84: 470-502. Geraldine Pratt and Susan Hanson, 1994. Geography and the Construction of Difference. Gender, Place, and Culture. 1: 5-29. Susan Hanson, 1993. 'Never question the assumptions' and other scenes from the revolution. Urban Geography 14: 552-56. Susan Hanson and Geraldine Pratt, 1992. Dynamic Dependencies: A Geographic Investigation of Local Labor Markets, Economic Geography 68: 373-405. Susan Hanson, 1992. (Presidential Address) Geography and Feminism: Worlds in Collision? Annals of the Association of American Geographers 82: 569-86. Susan Hanson, 1992. Reflections on American Geography. Geographical Review of Japan, 64: 73-78. Geraldine Pratt and Susan Hanson, 1991. Time, Space, and the Occupational Segregation of Women: A Critique of Human Capital Theory, Geoforum, 22: 149-157. Geraldine Pratt and Susan Hanson, 1991. On Theoretical Subtlety, Gender, Class, and Space: A Response to Huxley and Winchester, Environment and Planning D: Society and Space, 9: 241-46. Susan Hanson and Geraldine Pratt, 1990. Geographic Perspectives on the Occupational Segregation of Women. National Geographic Research, 6: 376-399. Geraldine Pratt and Susan Hanson, 1990. On the Links Between Home and Work: Family Strategies in a Bouyant Labor Market, International Journal of Urban and Regional Research, 14: 55-74. Janice Monk and Susan Hanson, 1989. Themes in contemporary feminist Geography. Documents d' Analisi Geografica (published in Spanish), 14: 31 50. Susan Hanson and Geraldine Pratt, 1988. Reconceptualizing the Links between Home and Work in Urban Geography, Economic Geography, 64: 299 321. Susan Hanson, 1988. Soaring, The Professional Geographer, 40 (1): 4 7. Susan Hanson and Geraldine Pratt, 1988. Spatial Dimensions of the Gender Division of Labor in a Local Labor Market, Urban Geography, 9 (2): 180 202. Susan Hanson and James Huff, 1988. Systematic Variability in Repetitious Travel, Transportation 15: 111 135. Susan Hanson, 1988. Beyond Activity Analysis (invited commentary), Transportation, 15: 53 55. Geraldine Pratt and Susan Hanson, 1988. Gender, Class, and Space. Environment and Planning D: Society and Space, 6: 15 35. Susan Hanson and Margo Schwab, 1987, Accessibility and Intraurban Travel, Environment and Planning A, 19: 735 748. Susan Hanson and James Huff, 1986. Classification Issues in the Analysis of Complex Travel Behavior, Transportation, 13: 271 293. James Huff and Susan Hanson, 1986. Repetition and Variability in Urban Travel, Geographical Analysis, 18: 97 114. Susan Hanson and Ibipo Johnston, 1985. Gender Differences in Worktrip Length: Explanations and Implications, Urban Geography, 6:193 219. Susan Hanson, 1983. The World is Not a Stone Garden, (invited commentary), Geographical Analysis, 15: 33 35. Susan Hanson and James O. Huff, 1982. Assessing Day to Day Variability in Complex Travel Patterns, Transportation Research Record #891: Collection and Use of Survey Data, pp. 18 24. Susan Hanson, 1982. The Determinants of Daily Travel Activity Patterns: Relative Location and Socio Demographic Factors, Urban Geography, Vol. 3, pp. 179 202. Wilbur Zelinsky, Janice Monk, and Susan Hanson, 1982. Women and Geography: A Review and Prospectus, Progress in Human Geography, Vol. 6, pp. 317 366. K.P. Burnett and Susan Hanson, 1982. An Analysis of Travel as an example of Complex Human Behavior in Spatially Constrained Situations, Transportation Research, 16A: 87 102. Susan Hanson and Perry Hanson, 1981. The Travel Activity Patterns of Urban Residents: Dimensions and Relationships to Socio demographic Characteristics, Economic Geography, 57: 332 347. Susan Hanson and Perry Hanson, 1981. The Impact of Married Women's Employment on Household Travel Patterns, Transportation, Vol. 10, pp. 165 183. Susan Hanson, 1980. Spatial Diversification and Multi Purpose Travel: Implications for Choice Theory, Geographical Analysis, Vol. 12, pp. 245 257. Susan Hanson, 1980. The Importance of the Multi Purpose Journey to Work in Urban Travel, Transportation, Vol. 9, pp. 229 248. Susan Hanson and Perry Hanson, 1980. Gender and Urban Activity Patterns in Uppsala, Sweden, Geographical Review, Vol. 70, pp. 291 299. K.P. Burnett and Susan Hanson, 1979. A Rationale for an Alternative Mathematical Paradigm for Movement as Complex Human Behavior, Transportation Research Record, #723, pp. 11 24. Susan Hanson, John Vitek, and Perry Hanson, 1979. The Long Range Impact of a Natural Disaster on Human Response to Future Disaster Threats, Environment and Behavior, Vol. 11, pp. 268 284. Perry Hanson, J.D. Vitek, and Susan Hanson, 1979. Awareness of Tornadoes: The Importance of an Historic Event, The Journal of Geography, Vol. 78, pp. 22 25. Susan Hanson, 1977. Measuring the Cognitive Levels of Urban Residents, Geografiska Annaler, Series B, Vol. 59, 67 81. Susan Hanson and Perry Hanson. 1977. Effects of Weather on Bicycle Travel, Transportation Research Record #629: Pedestrian Controls, Bicycle Facilities, Driver Research and System Safety, pp. 43 48. Susan Hanson and Perry Hanson, 1976. Problems in Integrating Bicycle Travel into the Urban Transportation Planning Process, Transportation Research Record #570: The Bicycle as a Transportation Mode, pp. 24 30. Susan Hanson, 1974. On Assessing Individuals' Attitudes Towards Potential Travel Destinations: A Research Strategy, Transportation Research Forum, Vol. 15, pp. 363 370. Susan Hanson and Duane F. Marble, 1971. A Preliminary Typology of Urban Travel Linkages, East Lakes Geographer, Vol. 7, pp. 49 59. Susan Hanson. 2015. Transportation geographies and mobility studies. In Intersecting Places: Transport, Mobility, and the Production of Urban Space. Julie Cidell and David Prytherch (eds). Pp. 3-11. NY: Routledge. Susan Hanson. 2014. The embedded politics of entrepreneurs. In Urban Politics: Critical Approaches. Mark Davidson and Deborah Martin (eds). Pp. 172-188. Sage Publications. Susan Hanson and Mei-Po Kwan. 2008. Introduction: Space, place, and transport. In Transportation. Susan Hanson and Mei-Po Kwan (eds). pp. xiii-xxv. London: Ashgate. Susan Hanson. 2008. Geography and gender: 1984 revisited. In Key Texts in Human Geography. Phil Hubbard, Rob Kitchen, and Gil Valentine (eds), pp 91-97. Sage. Susan Hanson and Danielle Fontaine. 2007. Does instant access promote sedentary behavior? Putting physical activity on the instant access-in-cities agenda. In Cities in an Age of Instant Access. Harvey Miller (ed). Springer-Verlag. Susan Hanson. 2007. Entries for Accessibility, Aggregate travel model, Communications, Commuting, Entrepreneurship, Mobility, Spatial mismatch, Tranport geography in The Dictionary of Human Geography, 5th Edition. Derek Gregory, Ron Johnson, Geraldine Pratt, Michael Watts, and Sarah Whatmore (eds). Exford and Malden, MA: Blackwell Publisher. Susan Hanson and Janice Monk. 2006. "On not excluding..." redux. In Feminisms, Knowledges, Geographies. Pamela Moss and Karen Falconer Al-Hindi (eds). pp 33-38. Lanham, MD: Rowman & Littlefield. Susan Hanson. 2006. Thinking back, thinking ahead: Some questions for economic Geographers. InEconomic Geography: Past, Present, and Future. Sharmistha Bagchi-Sen and Helen Lawton Smith (eds). pp. 24-33. NY: Routledge. Susan Hanson. 2004. Presidential columns. In Presidential Musings from the Meridian: Reflections on the Nature of Geography. M. Duane Nellis, Janice Monk, and Susan Cutter (eds). Morgantown: West Virginia University Press. Susan Hanson and Megan Blake. 2005. Changing the Geography of Entrepreneurship. In Companion to Feminist Geography. Lise Nelson and Joni Seager (eds). pp 179-193, Blackwell Publisher. Susan Hanson. 2004. The context of travel: Concepts and recent trends. pp. 1-29 in The Geography of Urban Transportation, 3rd edition. S. Hanson and G. Giuliano (eds). New York: Guilford Press. Genevieve Giuliano with Susan Hanson. 2004. Managing the auto. pp. 283-403 in The Geography of Urban Transportation, 3rd edition. S. Hanson and G. Giuliano (eds). New York: Guilford Press. Susan Hanson. 2003. The weight of tradition, the springboard of tradition: Let’s move beyond the 1990s. in Urban Geography in America: Paradigms and Personalities. Brian J.L. Berry and James O. Wheeler (eds). Routledge. In press. Susan Hanson and Geraldine Pratt. 2003. Learning about Labor: Combining Qualitative and Quantitative Methods. Pp 106-121 in Cultural Geography in Practice. Alison Blunt, Pyrs Gruffudd, Jon May, Miles Ogborn, and David Pinder (eds), London: Edward Arnold. Susan Hanson. 2000. Transportation: Hooked on speed, eying sustainability. In A Companion to Economic Geography. Eric Sheppard and Trevor Barnes (eds), pp 468-483, Blackwell Publisher. Susan Hanson. 2000. Reconceptualizing Accessibility. In Information, Place, and Cyberspace: Issues in Accessibility. Donald Janelle and David Hodge (eds), pp 267-278, Berlin, Heidelberg, New York: Springer-Verlag. Susan Hanson 1997. As The World Turns: New Horizons in Feminist Geographic Methodologies in Thresholds in Feminist Geography: Difference, Methodology, and Representation J.P. Jones, H. Nast, S. Roberts, (eds), pp. 119-128. Rowman and Littlefield. Susan Hanson and Janice Monk. 1994. Locating Feminist Geography: On Differences, Context, and Scale, in Donna e Geografia (The Other Half of Italy), Gisella Cortesi and Maria Luisa Gentileschi (eds). Franco Angeli Ediciones. Susan Hanson and Perry Hanson, 1993. The Geography of Everyday Life, in Behavior and Environment: Psychological and Geographical Approaches. R. Golledge and T. Garling (eds. ), pp. 249-69. Elsevier Press. Susan Hanson, Geraldine Pratt, Doreen Mattingly, and Melissa Gilbert, 1994. Women, Work, and Metropolitan Environments, in Women and the Environment. I. Altman and A. Churchman (eds.) pp. 227-53. Plenum Press. Geraldine Pratt and Susan Hanson, 1993. Women and Work Across the Life Course: Moving Beyond Essentialism, in Full Circles: Geographies of Women Over the Life Course. Cindi Katz and Janice Monk (eds), pp. 27-54. NY: Routledge. J.O. Huff and Susan Hanson, 1990. Measurement of Habitual Behavior: Examining Systematic Variability in Repetitious Travel. in Developments in Dynamic and Activity-Based Approaches to Travel Analysis, Peter Jones (ed. ), pp. 229 249. Oxford Studies in Transport. Gower. Susan Hanson and J.O. Huff, 1988. Repetition and Day to day Variability in Individual Travel Patterns: Implications for Classification, in Behavioral Modelling in Geography and Planning, R. Golledge and H. Timmermans (eds. ), pp. 368 398. Croom Helm. Susan Hanson, 1984. Environmental Cognition and Travel Behaviour, in Geography and the Urban Environment, Vol. 6, D. Herbert & R.J. Johnston (eds. ), John Wiley & Sons, pp. 95 126. Susan Hanson and K.P. Burnett, 1981. Understanding Complex Travel Behavior: Measurement Issues, in New Horizons in Travel Behavior Research, A. Meyburg and P. Stopher, W. Borg (eds. ), Lexington Books, pp. 207 230. Susan Hanson, 1979. Urban Travel Linkages, in Behavioral Travel Modeling, D.A. Hensher and P. Stopher (eds. ), London: Croom Helm, Ltd., pp. 81 100. Susan Hanson and Perry Hanson, 1977. Bicycle Use in Urbanized Areas, in Planning, Design and Implementation of Bicycle and Pedestrian Facilities, W. Kraft (ed. ), New York: MAUDEP, pp. 84 96. Susan Hanson, 1976. Spatial Variation in the Cognitive Levels of Urban Residents, in Spatial Choice and Spatial Behavior: Geographic Essays on the Analysis of Preferences and Perceptions, R.G. Golledge and G. Rushton (eds. ), Columbus, Ohio: Ohio State University Press, pp. 157 177. *Editor, Ten teaching modules on the human dimensions of global change 1996-98. Published by the Association of American Geographers. Starred modules are also available on the World Wide Web.